On this Episode we take a look back at UFC Fight Night from Philadelphia, PA and ONE Championships debut in Japan, A New Era. Also look ahead to UFC 236 this weekend from Atlanta, Georgia. Plus all the latest news from around the MMA world. Episode 25 - UFC London Review & Preview of UFC Nashville and MMA News. On this episode we look back at the best British UFC Fight Night card ever from London. We also look forward to UFC Fight Night : Thompson v Pettis in Nashville and we discuss all the latest MMA News. This week we take a look back at UFC Fight Night from Phoenix, Arizona and two Bellator cards. We also look ahead to UFC from Prague and Bellator from Dublin this weekend, as well as all the latest MMA news. On this Episode we take a look back at UFC 234 from Melbourne, Australia and Bellator from Newcastle, UK. We also look forward to UFC from Phoenix, Arizona and two Bellator Cards from Connecticut. As well as all the latest MMA news. On this weeks Episode we look ahead to UFC's debut on ESPN from Brooklyn, New York. We also look forward to 2019 and give our predictions and hopes for the year as well as all the latest MMA news. On this episode we review UFC Adelaide and The Ultimate Fighter: Heavy Hitters Finale. We also look forward to this weeks UFC 231 and Cage Warriors 100. As well as all the latest MMA news. On this Episode we review UFC from Beijing in China. We preview UFC's Ultimate Fighter 28, UFC Adelaide, Bellator 210 and 211, all happening this weekend. As well as all the latest MMA news. On this weeks Episode we review the latest UFC event, UFC 229. We also look ahead to a big weekend for Bellator with 2 PPV's coming up, as well as the latest MMA news and the Khabib Madness. 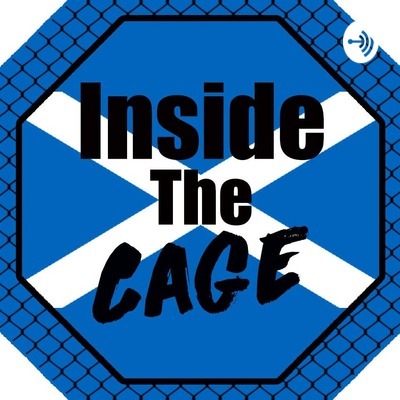 This week we review Bellator 206 and Cage Warriors 96, we also discuss all the latest MMA news including the Peppa Pig scandal and finally review the biggest night in UFC history UFC 229. Apologies for the poor sound quality, we are testing our best equipment!